Perhaps you should wait to read this until you do your RtRs if you want or need to use it as a cathartic. Warning: if you are one with a sensitive predisposition and don't like to be upset with things, then be careful reading this article. 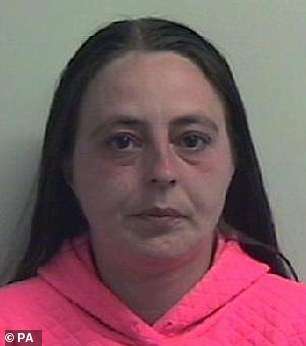 The 'deviant and devious' parents of a malnourished toddler who died after she was left starving for months and riddled with thousands of head lice, have been jailed for six years. 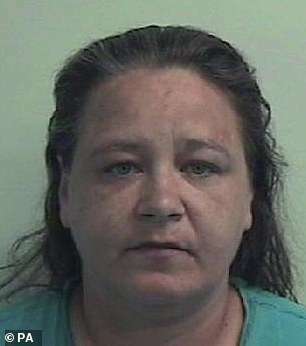 Margaret Wade, 38, and Marie Sweeney, 37, have today been jailed over the death of Lauren Wade, who was left to starve at their filthy flat in Glasgow's Sighthill. The 'skinny, dirty and smelly' toddler had a sodden nappy, bald patches and was covered in thousands of head lice, the High Court in Glasgow heard today. There was evidence the lice had been there for 'over 17 months' of her life. A police officer who visited the 'uninhabitable' flat where the family lived described it as 'one of the most disgusting houses he had ever seen in his career'. 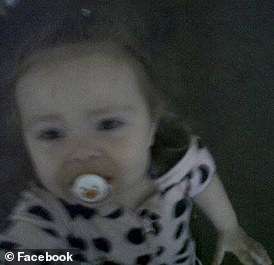 Wade, who was Lauren's biological mother, told police she had 'no guilt' over her daughter's death. 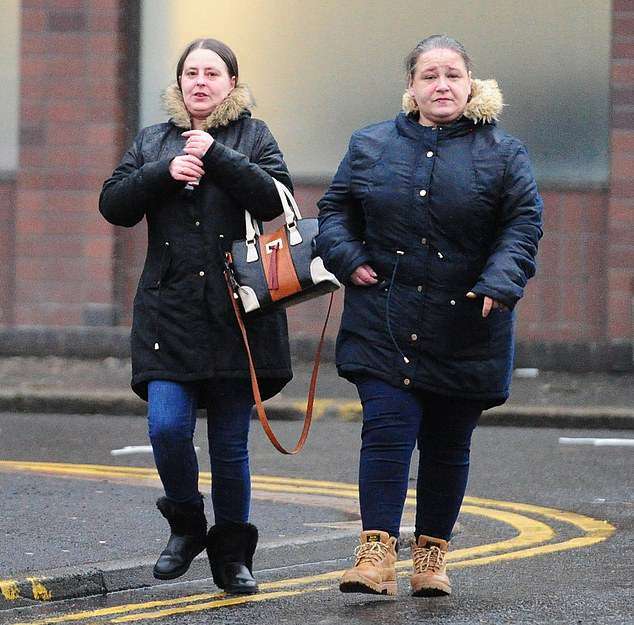 The judge said the two women had been offered help and advice and had failed to take it. The judge added: 'When your youngest daughter died, your house was in a shocking state. 'You knew the children were dependent on you. 'You failed in your duties to these children. 'You failed to provide the children with adequate clean living accommodation. The judge said the two women had been offered help and advice and had failed to take it. She added: 'There were thousands of lice crawling all over Lauren's face and hair. 'There had been lice for at least six months, but probably up to 17 months. On 20th March 2015, a 999 call was made after Lauren was found 'unresponsive'. 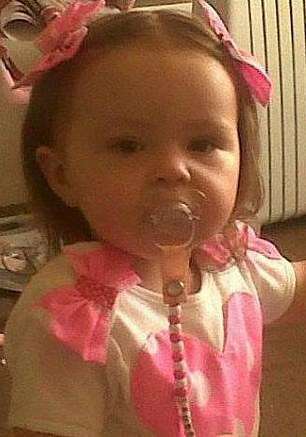 Wade told nurses Lauren had been suffering from a virus for a couple of days but a post-mortem revealed the toddler was too small for her age and had been the victim of 'severe neglect'. Sweeney and Wade declined her offers to help with the children's' head lice infestation. A further double-doctor post-mortem examination carried out on 2nd April revealed Lauren was 80 per cent of the expected weight for her age - with her ribs, shoulders and backbone 'very visible through her skin'. Her hair was reported as 'heavy and matted', appearing unbrushed for a 'substantial period', with multiple ulcers and crusted scabs over her body. The pathologist estimated an infestation period of head lice of at least six months - possibly up to 17 months or longer. Head lice were apparent even from the outside door frame - and the sofa on which Lauren lay was so ridden with head lice it had a large hole in it and had disintegrated. The police office and vehicle in which the women had been transported had to be treated by pest control firm Rentokil, while the ambulance and paramedics' uniforms had to be cleaned. Prosecutor Bill McVicar said: 'The kitchen was so full of bags of rubbish that there was barely enough space to open the door. One bedroom was so cluttered that the carpet was 'almost invisible'. Mr McVicar added: 'It is clear the failure to provide proper accommodation was a long-standing issue which did not simply emerge in the days or weeks before the death of Lauren. Wade's QC Brian McConnachie today claimed her mental health issues were 'partially responsible' for the crimes. Sweeney's QC Ian Duguid said she had not been 'trying to hide' what was a 'very sick or malnourished child'. The judge said the jail term would have been seven years, had the pair not entered guilty pleas. The pair showed no emotion as they were lead to the cells. He said: 'This is a unique set of circumstances, thankfully. It's the most deviant and devious parenting couple I've ever encountered. 'This heart-breaking case involved a number of different agencies and lessons have already been learned and applied through various dissemination and training activities. 'Measures have been, and will continue to be, put in place to improve information sharing between agencies and to ensure concerns about a child or children are identified and jointly acted upon at an early stage. More reasons to be anti-LGBT, and with...things...like that, eugh... what do you expect? !